Comprehensive metallurgical testwork on the deposits was supervised by R.W.Nice and Associates and undertaken at Metcon Laboratories, Orway Mineral Consultants and Ammtec, with final plant design made in conjunction with Arccon. Metallurgical recoveries for years 1 to 6 average greater than 90%. The ore required a medium grind of 106 microns. 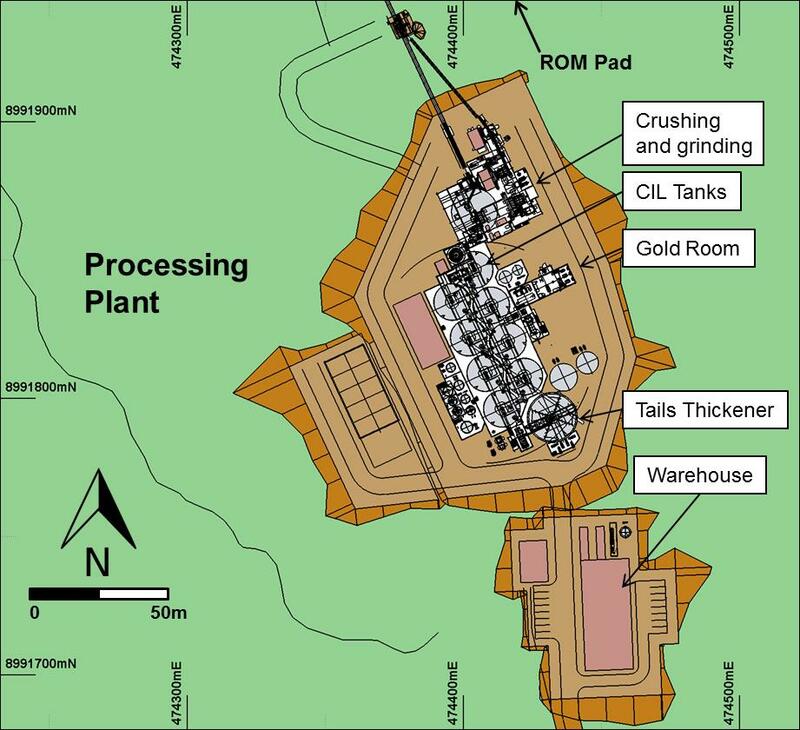 The ore types also demonstrated a reasonably high proportion of free gold reflected in core logs and by elevated gravity recovered gold at Kulumadau and Busai. Overall gravity recovered gold amounted to 37% of total gold recovered. 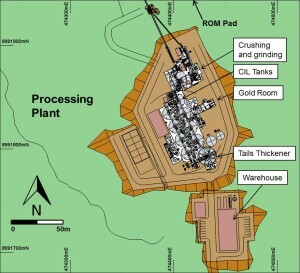 The Feasibility Study established that a conventional communition circuit followed by a standard gravity and CIL process flow then followed by carbon elution and electrowinning to produce gold dore bars. Detailed designs and costings were completed for tailings disposal by standard tailings dam or deep sea tailings placement (DSTP) depending on the requirements of the PNG Government. Since the completion of the BFS the Environment Permit has been approved for DSTP.